Carrie Bradshaw could tell us that. And Miranda, as could this red-head! 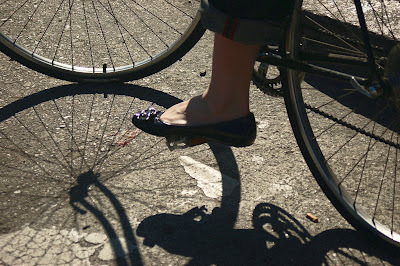 Bicycling in flats is fun, fashionable and comfortable. 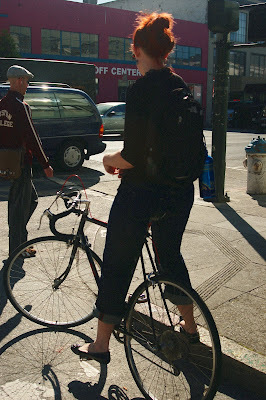 Love the blue Sigg water bottle attached to her backpack too! the shoe photo is fantastic. love it!!! Thanks, KT.